It's been a long long time, but I am back today with six polishes from the new KBShimmer Birthstone collection. These are all available right now so head on over if you see any that you like. This collection is twelve (obviously!) polishes that are super sparkly and holographic at the same time. They are super easy to apply and easy to remove. KBShimmer classifies these as metallic flake with holo and it is highly suggested that you shake these well before use due to the nature of the flakes in the polish. I will say that upon removal there is a little bit of sparkle that is left behind on the skin, but I found that a good hand washing will get rid of it. As per usual, all descriptions are from KBShimmers site. 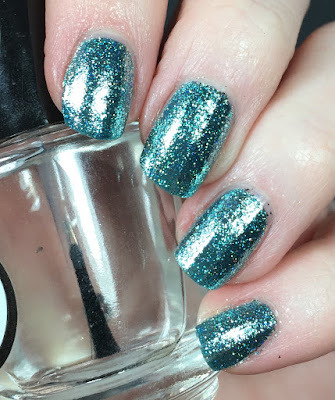 These are all two coats of polish topped with Clearly On Top which is also from KBShimmer. All of these have a holographic element to them, so I will save myself the redundancy from saying it in each description. First up is Ruby. I selected this one because it is my birth month, so of course I had to get it! 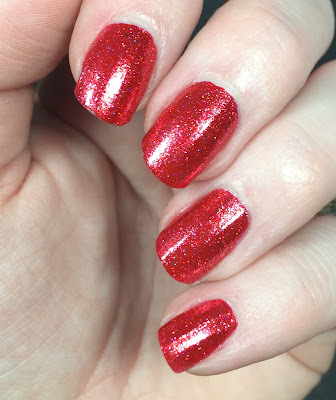 Ruby is " a warm blue toned red loaded with metallic flakes. A hint of holographic dust adds sparkle and shine to this polish". This one was PERFECT for Christmas, I wore it on Christmas day and it looked so appropriate. I had no issues with application. No comment on wear time as it was chaos in my house so they got banged up pretty well after the Christmas shenanigans. 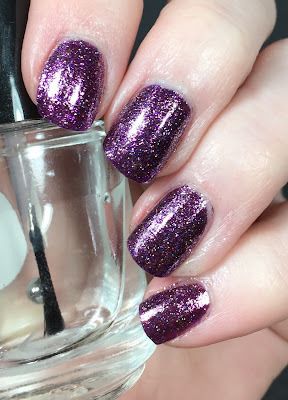 Amethyst is next, and is of course my favorite (because it's purple!). 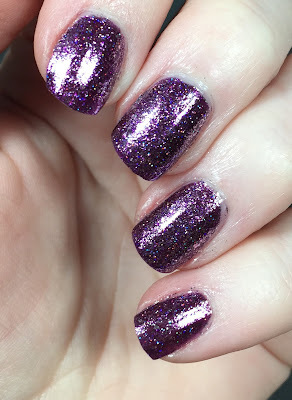 KBShimmer says this is a red toned purple loaded with metallic flakes. 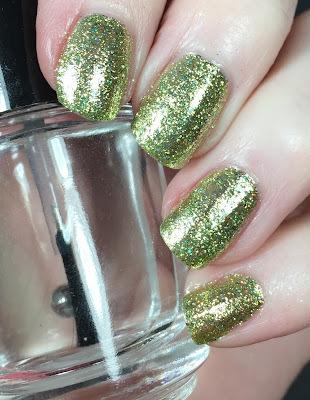 This also has a bit of holo to it and it so beautiful to wear. Application was fine and I was able to wear this for days with no issues. I picked this next one, Peridot because of my August baby. I have always liked the stone but I have a great reason for picking this one. 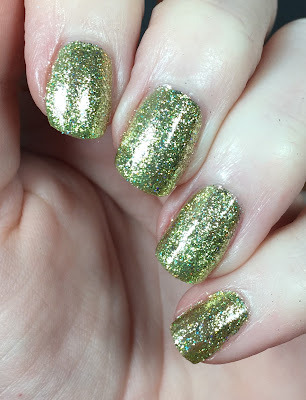 This is described as " a pale lime green loaded with metallic flakes". Two coats here and no issues with application. 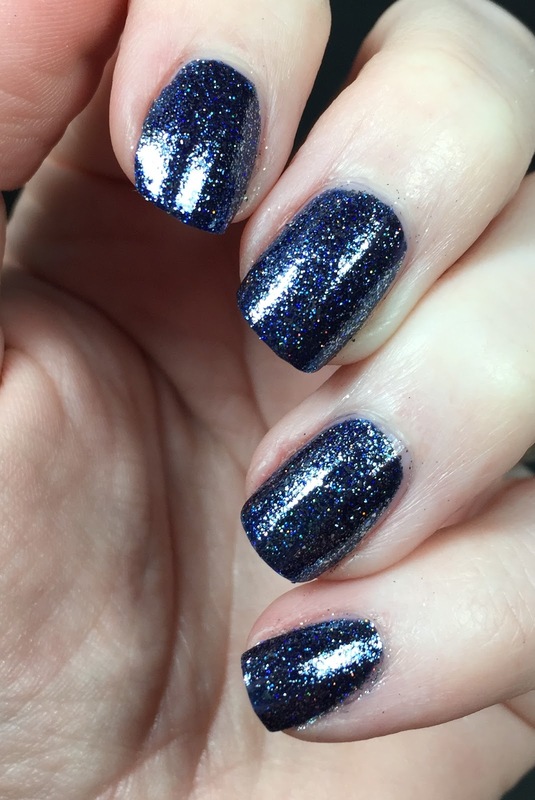 Sapphire is next, I just love how deep and sparkly this is. I was drawn to this one because of how rich it looked. KBShimmer describes this as " a rich navy leaning blue loaded with metallic flakes". 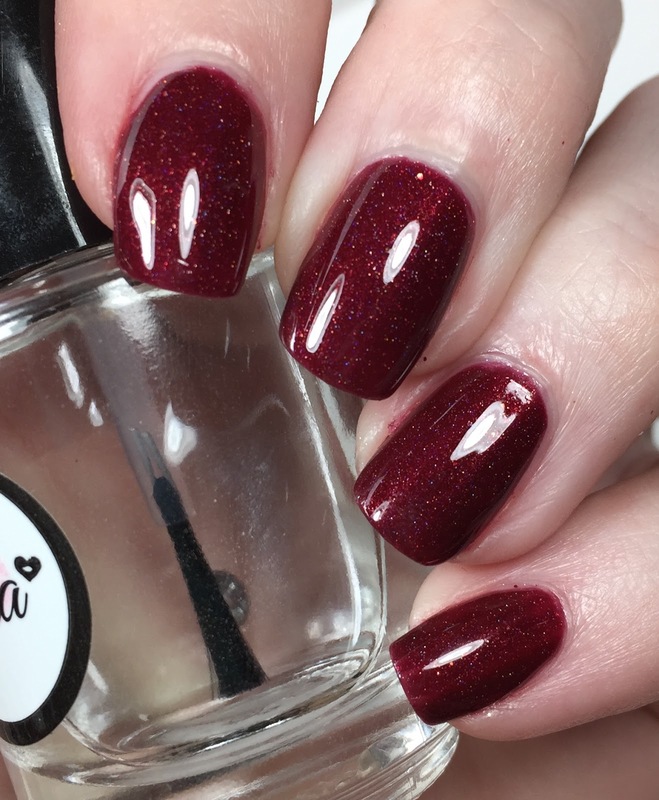 Two coats here and application was perfect. I snagged this one because I am due to have a baby in May. Also it looked way too pretty to pass up. 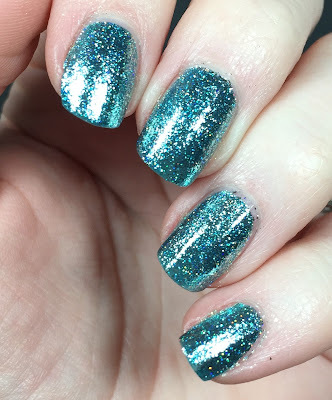 Once I started swatching this I knew I couldn't stop with just a swatch, I wore this as a complete mani. Couldn't help myself. It was a surprise stunner for me. 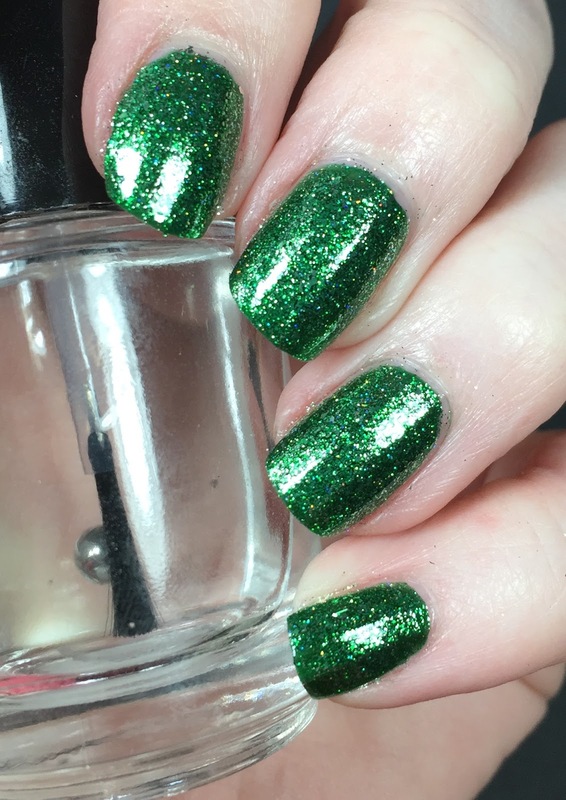 They describe this as "a rich grass green polish loaded with metallic flakes". 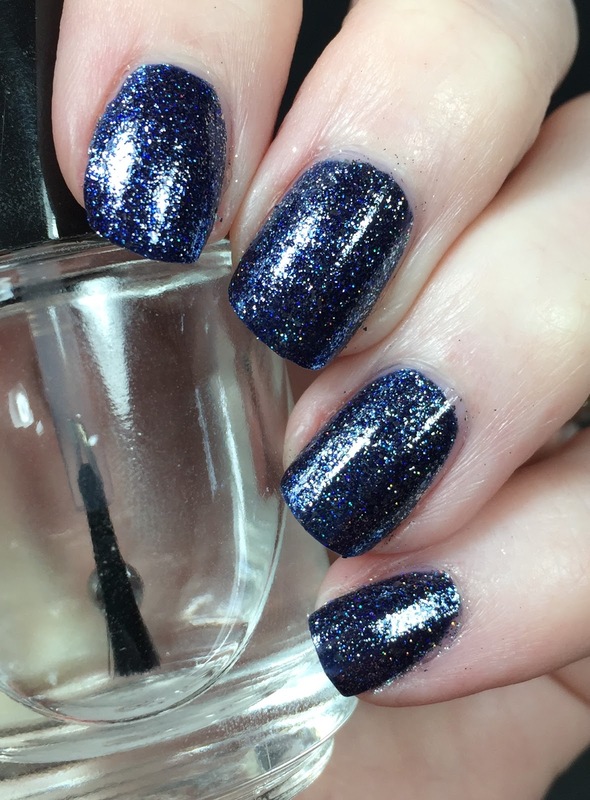 The last polish I have is Blue Topaz.This is described as an "icy blue polish with metallic flakes". I just put this on as a full mani and it's just gorgeous. I can't comment on wear time as I am just wearing it now. If it is anything like the rest of them, it will be great. What month is your favorite? Are you going to order your birth month or any other ones? Birthstone Promo – 12 lucky winners will win a birthstone jewelry piece purchased from JewelryTV. For each month’s polish purchased between 01/01/2016 and 01/08/2016 grants you a chance to win a corresponding birthstone jewelry item as pictured in the listing. 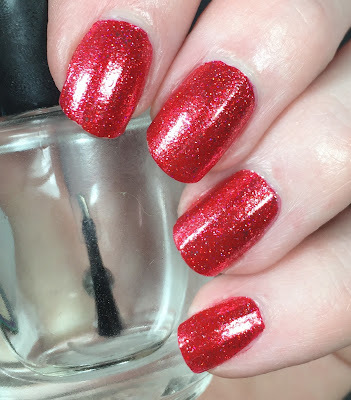 Contest open to purchases made on KBShimmer.com or via alternative mail in entry. No purchase necessary. For alternative entry, send a self addressed, postage paid bubble mailer to KBShimmer, 2820 S State Rd 63, Terre Haute, IN 47802 with a card naming one month. One entry per mailer. Must be received by 01/05/16 to be eligible. Contest items cannot be exchanged for different sizes, prizes or cash. 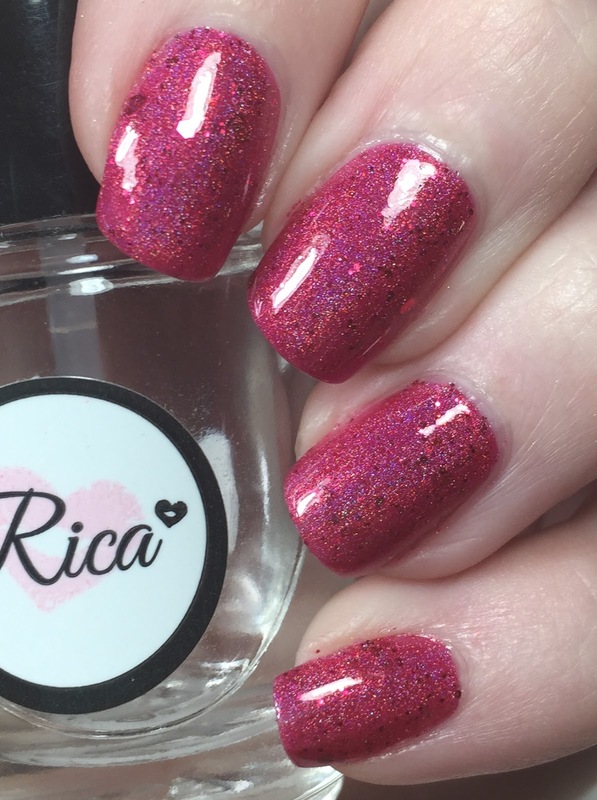 I am here today with two polishes from Jior Couture. Sidenote: I just went and looked at my last swatch for Jior and MAN have I come a long way. Anyway. Join Couture is currently doing monthly polishes that are mysteries. However, I have two of them if you would like to see what you are getting before you order. Because you can order previous months. Both polishes I was sent are stunning. They honestly just blew me away. First up is February. 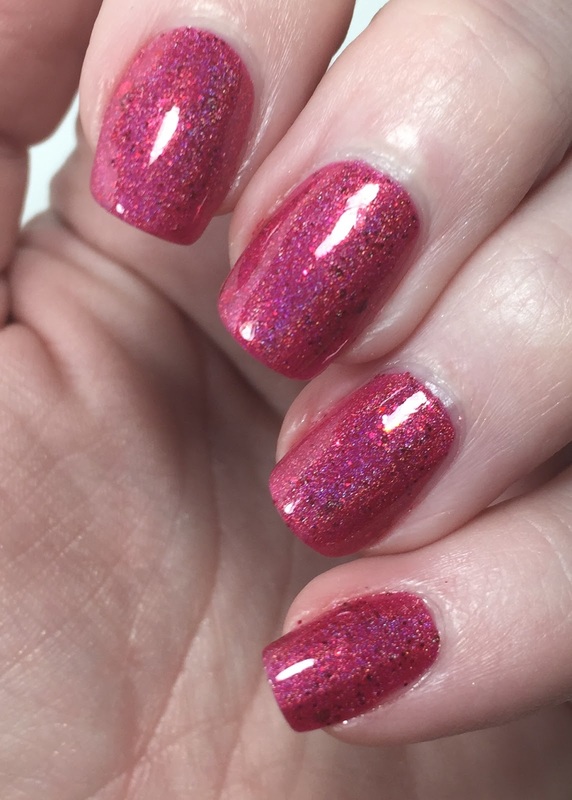 As you can see this is a magenta/berry holographic polish with coordinating glitters in it. I only needed two coats here and I topped it off with Glossy Glam. I was able to wear this with no chipping issues and the formula was great. The other month I was sent was September. 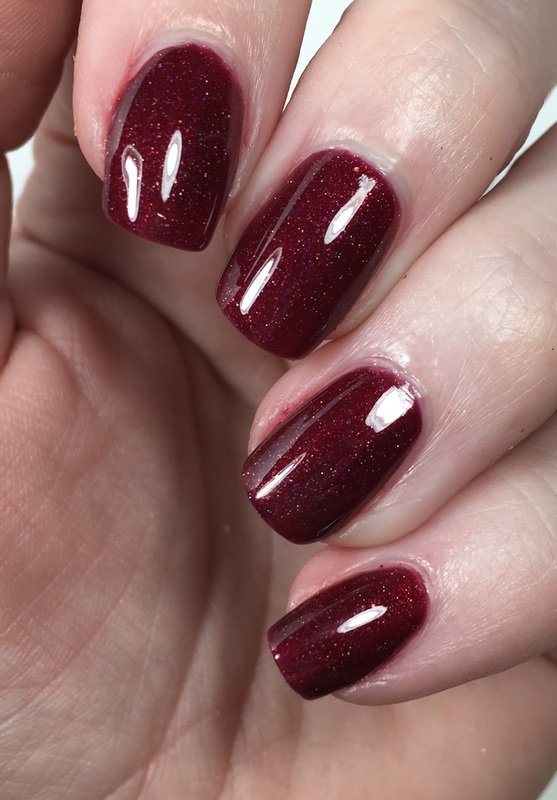 This is a deep burgundy holographic polish and it looks so squishy and lovely. I did have to use three coats here but that was no issue for me. I topped it off with Glossy Glam. 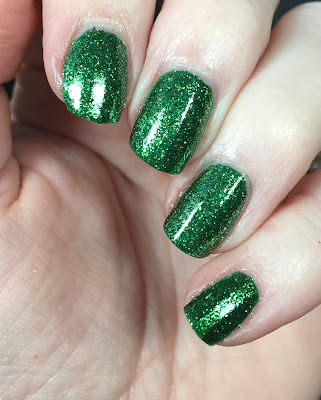 Again this had a great formula and no chipping issues.